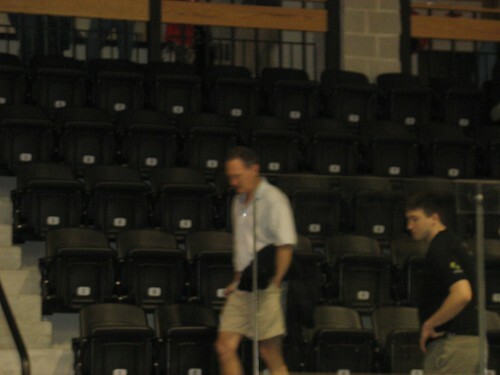 Bowdoin College President Barry Mills attended our game this morning. We want to thank him and the college for being so supportive and letting us use the beautiful new Watson Arena for our US Open. This entry was posted in RoboCup on May 2, 2009 by Blog Admin.